에뛰드 XOXO 미니라인 디자인은 디즈니 캐릭터 ‘미니마우스’와 콜라보레이션한 메이크업 컬렉션입니다. 색연필로 그린듯한 손 그림으로 재구성된 미니마우스는 발랄한 패턴 위에서 에뛰드만의 사랑스럽고 발랄한 미니마우스로 재탄생 되었습니다. 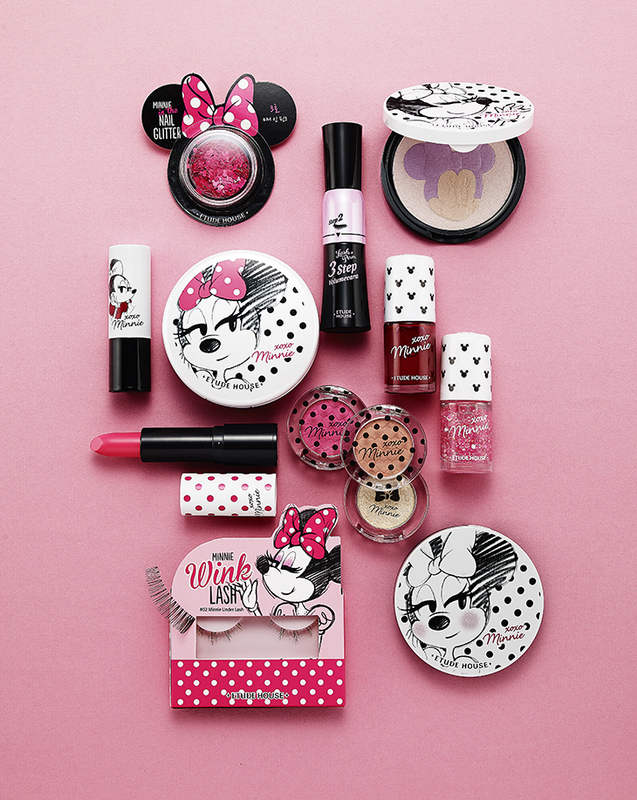 The Etude XOXO Minnie line was created in collaboration with Disney with its star character Minnie Mouse as motif. Hand-drawn images of Minnie appear on the packaging together with bright rhythmic patterns, creating a lovely, girly look as the signature of Etude products.